During the screening process to obtain the most potent α-amylase actinomycete producer from soil in red sea region, Streptomyces sp.HA2 was isolated and identified as working strain in solid state fermentation using agro industrial residues. Investigation of four agricultural residues such as banana peel, sugarcane bagasse, wheat bran and rice bran to select the best substrate for production of α-amylase. Selection of banana peel as substrate improved the activity. Various process parameters were optimized for maximum amylase production resulted in incubation period of (96 h), pH (8.5), inoculum size (8%), and moisture content (40%). Also, production of 1500 u/gds was achieved by supplementing the media with 1% starch and 1% peptone on 10g banana peel. The partially purified enzyme by ammonium sulphate was found stable at temperature up to 50°C for 120 minute. By using these optimized cultural conditions, this α-amylase may be utilized in wide spread applications like detergent, leather, and agriculture, scarification, pharmaceutical industry as well as molecular biology techniques..
Keywords: alpha amylase , Solid state fermentation, Streptomyces sp, 16S rDNA, agro industrial residues. Akcan N, Serin B, Uyar F (2012). Production and optimization parameters of amylases from Bacillus subtilis RSKK96 under solid state fermentation. Chemical and Biochemical Engineering Quarterly. 26: 233–239. Anaegbu CJ, Orukotan AA, Mohammed SSD (2017). Effects of Optimization Condition on Solid State Fermentation of Various Agro-Allied Waste for Production of Amylase Enzyme. International Journal of Bioorganic Chemistry. 2(1): 22-29. Chakraborty S, Jana S, Zhang L, Kokare C (2015). A Novel α‐Amylase from Haloalkalphlic Marine Nocardiopsis sp. Strain B2: Purification and Characterization. Journal of pharmaceutical science and technology. 5: 19–24. de Souza PM, de Oliveira E and Magalhaes P (2010). Application of microbial α- amylase in industry- A review. Brazilian Journal of Microbiology. 41: 850- 861. Dharmaraj S (2010). Marine Streptomyces as a novel source of bioactive substances. World Journal of Microbiology and Biotechnology. 26: 415-6. Francis F, Sabu A, Nampoothiri KM, Ramachandran S, Ghosh S, Szakacs G, Pandey A (2003). Use of response surface methodology for optimizing process parameters for the production of α-amylase by Aspergillus oryzae. Biochemical Engineering Journal. 15:107–115. Gangadharan D, Sivaramakrishnan S, Nampoothiri KM, Pandey A (2006). Solid culturing of Bacillus amyloliquefaciens for alpha amylase production. Food Technology and Biotechnology. 44: 269–274. Kapilan R (2015). Solid state fermentation for microbial products: A review. Archives of Applied Science Research.7 (8): 21–25. Karanja NE, Boga IH, Muigai, WA, Wamunyokoli F, Kinyua, JJ, Nonoh O (2010). Optimization of growth conditions and characterization of enzymatic activity of selected novel Streptomyces species from Kenya soils. Proceeding of 2010 JKUAT Scientific Technological and Industrialization Conference, Kenya. Krishnakumar S, Bai VD and Premkumar J (2015) Production of alpha amylase by salt-tolerant actinomycete Streptomyces sp.-SBU3 isolated from marine sponge. Indian Journal of Geo-Marine Sciences. 44(4):1-6. Kunamneni A, Permaul K, Singh S (2005). Amylase production in solid state fermentation by the thermophilic fungus Thermomyces lanuginosus. Journal of Bioscience and Bioengineering.100: 168–171. Miller GL (1959). Use of dinitrosalicylic acid reagent for determination of reducing sugars. Analytical Chemistry. 31: 426–428. Mohapatra BR , Bapuji M, Sree A (2003). Production of industrial enzymes (amylase. carboxymethylcellulase and protease) by bacteria isolated from marine sedentary organisms. Acta Biotechnology. 23:75–84. Mouna imen O, Mahmoud, K (2015) Statistical optimization of cultural conditions of an halophilic alpha-amylase production by halophilic Streptomyces sp. grown on orange waste powder. Biocatalysis and Agricultural Biotechnology. 4: 685–693. Narang S, Satyanarayana T (2001). Thermostable α-amylase production by an extreme thermophile Bacillus thermooleovorans. Letters in Applied Microbiology. 32(1): 31–35. Özdemir S, Güven K, Baysal Z, Uyar F (2009). Screening of various organic substrates and the development of a suitable low-cost fermentation medium for the production of α-amylase by Bacillus subtilis, Food Technology and Biotechnology. 47(4): 364–369. Pandey A , Nigam P, Soccol CR , Soccol VT, Singh D and Mohan R (2000). Advances in microbial amylases. Biotechnology Applied Biochemistry.31: 135-152. Ragunathan R, Padhmadas R (2013). Production, purification and characterization of α- amylase using Streptomyces spp. PDS1 and Rhodococcus spp. isolated from Western Ghats. International Journal of Current Microbiology and Applied Sciences . 2(8): 206-214. Ramachandran S, Patel AK, Nampoothiri KM, Francis F, Nagy V, Szakacs G, Pandey A (2004). Renge VC, Khedkar SV and Nikita RN (2012). Enzyme synthesis by fermentation method :A review. Scientific Reviews and Chemical Communications. 2 (4):585 -590. Saravana Kumar P, Preetam Raj JP, Duraipandiyan V, Ignasimuthu S (2012). Antibacterial activity of some actinomycetes from Tamil Nadu, India. Asian pacific Journal of Tropical Biomedicine. 2(12): 936-943. Saxena R, Singh R (2011). Amylase production by solid-state fermentation of agro-industrial wastes using Bacillus sp. Brazilian Journal of Microbiology. 42(4): 1334–1342. Singh R, Kapoor V, Kumar V (2011). Influence of Carbon and Nitrogen Sources on the α-amylase Production by a Newly Isolated Thermophilic Streptomyces sp. MSC702 (MTCC 10772). Asian Journal of Biotechnology. 3: 540-553. Singh R, Kapoor V, Kumar V (2012). Utilization of agro-industrial wastes for the simultaneous production of amylase and xylanase by thermophilic actinomycetes. Brazilian Journal of Microbiology. 43(4): 1545-1552 Chakraborty S, Khopade A, Kokare C, Mahadik K, Chopade B (2009). Isolation and characterization of novel α-amylase from marine Streptomyces sp. D1. Journal of Molecular Catalysis B: Enzymatic.58: 17–23. Singh R, Kumar V, Kapoor V (2014). Partial purification and characterization of a heat stable α-amylase from a thermophilic actinobacteria, Streptomyces sp. MSC702. Enzyme Research. 2014:106363. Sivaramakrishnan S, Gangadharan D, Nampoothiri K.M , Soccol CR, Pandey A(2006) α-amylases from microbial sources – An overview on recent developments. Food Technology and Biotechnology.44 :173–184. Sodhi HK, Sharma K , Gupta JK , Soni SK (2005). Production of a thermostable α amylase from Bacillius sp. PS-7 by solid state fermentation and its synergistic use in the hydrolysis of malt starch for alcohol production. Process Biochemistry. 40:525–534. Ul-Haq I, Hameed U, Mahmood Z, Javed MM (2012). Solid state fermentation for the production of α-amylase by Paenibacillus amylolyticus. Pakistan Journal of Botany. 44: 341–346. 10. Vidhale NN, Pundkar VM (2016) Exploration of Alkaliphilic Actinomycetes for Amylase Production from Agroindustrial Waste. International Journal of Life Sciences. 4 (3): 394-400. Background: Diabetic wound infection is one of the complications of diabetes mellitus, hyperbaric Oxygen Therapy (HBOT) can be used as an adjacent treatment for diabetic wound infection, it involves inhalation of 100% oxygen under a pressure greater than 1 atmospheric absolute. This was a longitudinal case study, in which the wound specimens were collected from AL-Dirby Centre and further processing was done at the Microbiology Laboratory, Sudan University of Science and Technology (SUST), between January and July 2016. Objective: The aim of this study was to evaluate the effect of hyperbaric oxygen therapy (HBOT) on aerobic bacteria isolated from the wounds of diabetic patients attending Al-Dirby Center. Methodology: A total of 22 diabetic patients were involved in this study, their ages between 40 and 98 years. The majority of the patients were males 17 (77.3 %) and 5 (22.7%) were females, Insulin dependent diabetic patients were 15 (68.2%) and insulin independent diabetic patients were 7 (31.8%). A Questionnaire was used to collect data from the patients. The data was analyzed by using SPSS version (11.5). The results showed (78.1%) Gram-negative rods and (21.9%) Gram- positive cocci. The most frequent isolated bacteria were Proteus mirabilis 8(25%) followed by Pseudomonas aeruginosa 6(18.7%), Staphylococcus aureus and Escherichia coli 5 (15%), Proteus vulgaris 4(12.5%), and (Sterptococcus pyogenes, Serratia marcescens, Viridans streptococci, and Klebsiella pneumoniae) 1 (3.1%). Gram negative rods were more sensitive to Imipenem while Gram positive cocci were more sensitive to Gentamicin. Complete wound healing and bacterial eradication was observed in 17(77.3%) of the diabetic patients while incomplete wound healing and bacterial persistence was observed in only 5(22.7%). Conclusion: This study showed that HBOT could be a useful tool in woundstherapy. Keywords: Diabetic wound, hyperbaric Oxygen Therapy, AL-Dirby, Proteus mirabilis. Abbass EI (2009). 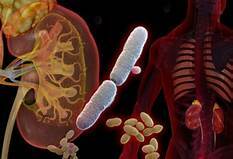 Frequency and Sensitivity Pattern of Aerobic Bacteria isolated from Wounds of Diabetic Patients. M.Sc thesis. Sudan University of Science and Technology. Abdel Wahab WF, Bakhiet MA, Mahadi SI, Mahmoud SM, Widataal AH, Ahmed ME (2013). Diabetic Foot Infections with Pseudomonas: Jabir Abueliz Diabetic Center Khartoum Experience. Clinical Research on Foot & Ankle. 83(S3):1-3. Ahmed EO (2003). Bacteriology of Diabetic Foot Infections in Sudan. Clinical MD thesis. University of Khartoum. Akhi MT, Ghotaslou R, Asgharzadeh M, Varshochi M, Pirzadeh T, Memar MY (2015). Bacterial etiology and antibiotic susceptibility pattern of diabetic foot infections in Tabriz, Iran. GMS Hygieneand Infection Control, 10:1-6. Ali AAS (2005). Isolation and identification of bacteria associated with diabetic foot infections. M.Sc thesis. University of Khartoum. Al-Saimary IA (2010). Bacterial wound infections in diabetic patients and their therapeutic implications, Medical Practice and Review. 1 (2): 12-15. Barata P, Cervaens M, Resende R, Camacho O, Marques F (2011). Hyperbaric oxygen effects on sports injuries. Therapeutic Advances in Musculoskeletal Disease 3 (2): 111-121. Bhutani S, Vishwanath G (2012). Hyperbaric oxygen and wound healing. Indian Journal of Plastic Surgery: Official Publication of the Association of Plastic Surgeons of India, 45(2), 316. Camporesi EM (2014).Side effects of hyperbaric oxygen therapy. Journal of the Undersea and Hyperbaric Medical Society, 41 (3):253-257. Davies S, Tovey M (2014). Investigation of wound, tissue, and genital samples. Medical Microbiology, 366(11), 1028-1037. DiNubile MJ, Lipsky BA (2004). Complicated infections of skin and skin structures: when the infection is more than skin deep. Journal of Antimicrobial Chemotherapy, 53(suppl_2), ii37-ii50. Doctor A (1992). Hyperbaric oxygen therapy in diabetic foot. Journal of Postgraduate Medicine, 38(3),112-114. Drake DR, Brogden KA, Dawson DV, Wertz PW (2008). Thematic review series: skin lipids. Antimicrobial lipids at the skin surface. Journal of lipid research, 49(1), 4-11. Dryden MS (2010). Complicated skin and soft tissue infection. Journal of Antimicrobial chemotherapy, 65(suppl_3), iii35-iii44. Ekmektzoglou KA, Zografos GC (2006). A concomitant review of the effects of diabetes mellitus and hypothyroidism in wound healing. World Journal of Gastroenterology: WJG, 12(17), 2721. El-Tahawy AT (2000). Bacteriology of diabetic foot Infections. Saudi Medical Journal, 21 (4):344-347. Ford M (2010). Medical Microbiology, 1st edition, Oxford University Press, New York, p 143. Goering RV, Dockrell HM, Zuckerman M, Roitt IM, Chiodini PL (2013). Mims' Medical Microbiology, fifth edition, Elsevier saunders, China, p335. Greenwood D, Slack R, Peutherer J, Barer M (2007). Medical Microbiology, seventeenth edition, Churchill livingstoneelsevier, China, p 662. Huang ET, Mansouri J, Murad MH, Joseph WS, Strauss MB, Tettelbach W, Worth ER (2015). A clinical practice guideline for the use of hyperbaric oxygen therapy in the treatment of diabetic foot ulcers. Undersea Hyperb Med, 42(3),205-247. Koreck A, Pivarcsi A, Dobozy A, Kemeny L (2003). The role of innate immunity in the pathogenesis of acne. Dermatology, 206(2), 96-105.
tenth edition, Mc-Graw- Hill Companies, Sanfrancisco, p 66. Mahgoub EM, Omer MEA (2015). Aerobic bacteria isolated from diabetic septic wounds. American Journal of Research Communication. 3 (10): 91-99. Mohanasoundaram KM (2012). The Microbiological Profile of Diabetic Foot Infections. Journal of Clinical and Diagnostic Research. 6 (3): 409-411. Mordi RM, Momoh MI (2009). Incidence of Proteus species in wound infections and their sensitivity pattern in the University of Benin Teaching Hospital. African Journal of Biotechnology.8(5):725-730. Ong M (2008). Hyperbaric oxygen therapy in the management of diabetic lower limb wounds. Singapore medical journal, 49(2),105. Perim MC, Borges JC, Celeste SRC, Orsolin EF, Mendes RR, Mendes GO (2015). Aerobic bacterial profile and antibiotic resistance in patients with diabetic foot infections. Revistada Sociedade de MedicinaTropica, 48 (5):546-554. Rao C, Xiao L, Liu H, Li S, Lu J, Li J, Gu S (2016). Effects of topical oxygen therapy on ischemic wound healing. The Journal of Physical Therapy Science, 28 (1):118-123. Rhody C (2000). Bacterial infections of the skin. Primary Care: Clinics in Office Practice, 27(2),459-473. Sugandhi P, Prasanth DA (2007). Bacteriological Profile of Diabetic Foot Infections. International Journal of Innovative Research in Science, Engineering and Technology. 3 (7): 14688-14692. Tognetti L, Martinelli C, Berti S, Hercogova J, Lotti T, Leoncini F, Moretti S (2012). Bacterial skin and soft tissue infections: review of the epidemiology, microbiology, aetiopathogenesis and treatment. Journal of the European Academy of Dermatology and Venereology, 26(8),931-941. Turhan V, Mutluoglu M, Acar A, Hatipoğlu M, Önem Y, Uzun G (2013). Increasing incidence of Gram-negative organisms in bacterial agents isolated from diabetic foot ulcers. The Journal of infection in Developing Countries. 7 (10):707-712. Venus M, Waterman J, McNab I (2010). Basic physiology of the skin. Surgery-Oxford International Edition, 28(10), 469-472. Yutsis PI (2003). Oxygen to the Rescue: Oxygen Therapies, and How They Help Overcome Disease, Promote Repair, and Improve Overall Function. Basic Health Publications,Inc..